Last year, Australia introduced a new mandatory data breach notification regime, which requires most Australian businesses – and all healthcare providers – to notify the Office of the Australian Information Commissioner and affected individuals of any data breach which puts one or more individuals at likely risk of serious harm. The new law applies to incidents of any size, meaning that even a wrongly addressed email or misplaced USB key can require you to notify the Commissioner and your patients. 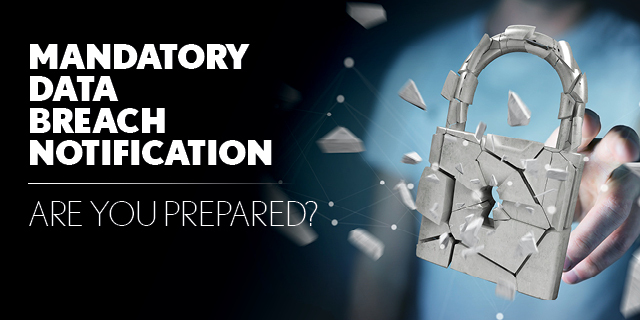 discuss what you can do now to ensure your practice is ready if a data breach occurs. Presented by: Nicholas Blackmore is an experienced commercial and corporate lawyer, dual-qualified in Hong Kong and Australia and leads Kennedys APAC cyber risk group. He advises on general commercial and corporate matters, insurance, technology, intellectual property and data privacy. Nicholas was based in Kennedys Hong Kong office for six years, relocating to Melbourne in 2017.